The Colorado Lottery sold its first scratch ticket in 1983 and added the multi-state Powerball in 2001. Lottery proceeds go towards outdoor and educational projects, including Colorado Parks and Wildlife. Tickets can be purchased at most gas stations, grocery stores or convenience stores. Tickets must be purchased with cash, not credit cards. Tickets may also be purchased at vending machines at some locations. And if you do win, remember you only have 180 days to claim your winnings before it goes back to the state! To play, select five numbers from the first field of 55 numbers and one Powerball number from the second field of 35 numbers. Powerball is played in 42 states and Washington, D.C. and the U.S. Virgin Islands. For $1 more, you can choose the Powerplay to multiply your winnings by two, three, four or five. Drawings: Every Wednesday and Saturday at 9 p.m.
Prizes: Rolling jackpots start at $15 million. Other prizes range from $4 to $1 million. To play, select five numbers from the first field of 56 numbers and one Megaplier number from the second field of 46 numbers. 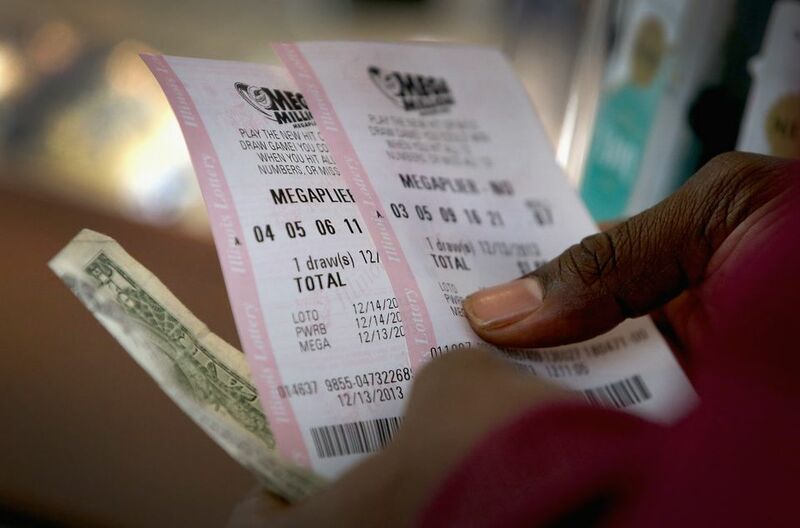 Mega Millions is played in 42 states and Washington, D.C. and the U.S. Virgin Islands. For $1 more, you can choose the Megaplier to multiply your winnings by two, three or four. Drawings: Every Tuesday and Friday at 9 p.m.
Prizes: Rolling jackpots start at $12 million. Other prizes range from $2 to $250,000. Lotto is Colorado's in-state jackpot game, with rolling jackpots starting at $1 million. Select six numbers between one and 42. Prizes are awarded for matching three, four, five or six of the numbers. Drawings: Wednesday - Saturday at 7:35 p.m.
Prizes: Rolling jackpots start at $1 million. To play Cash 5, pick five numbers between one and 32. Match two, three, four or five numbers to win. Drawings: Monday - Sunday at 7:35 p.m.
To play Pick 3, pick three numbers between zero and nine. Match two numbers to win. Overall odds: Depends on bet selected. Scratch tickets offer a higher chance of winning but smaller prizes than other lottery games. Scratch off the silver latex coating to unveil matching numbers or symbols. Even if you lose, save the tickets from select games and mail them in for a second-chance drawing. Prizes of $599 or less can be claimed at any Colorado Lottery retailer. Prizes greater than $599 can be claimed at a Colorado Lottery office. Offices are located in Pueblo, Denver, Grand Junction, and Fort Collins. You may also mail your winning ticket to the main office in Pueblo. Remember to sign the back, and also keep in mind winning tickets can take up to three weeks to process.